Green Wagon Farm is run by Bill Jarrell, his daughter Kaisa, and a small team of dedicated staff members. 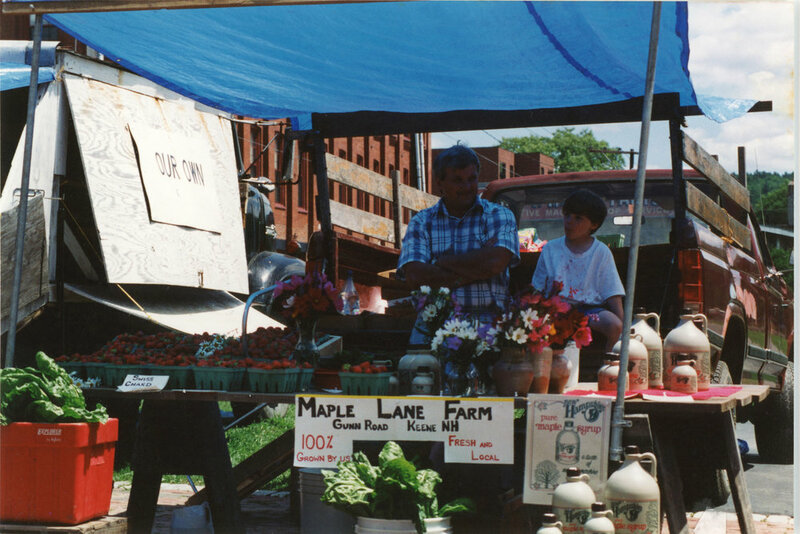 Prior to having our own farm stand location, we participated in the Keene Farmer’s Market for several years. 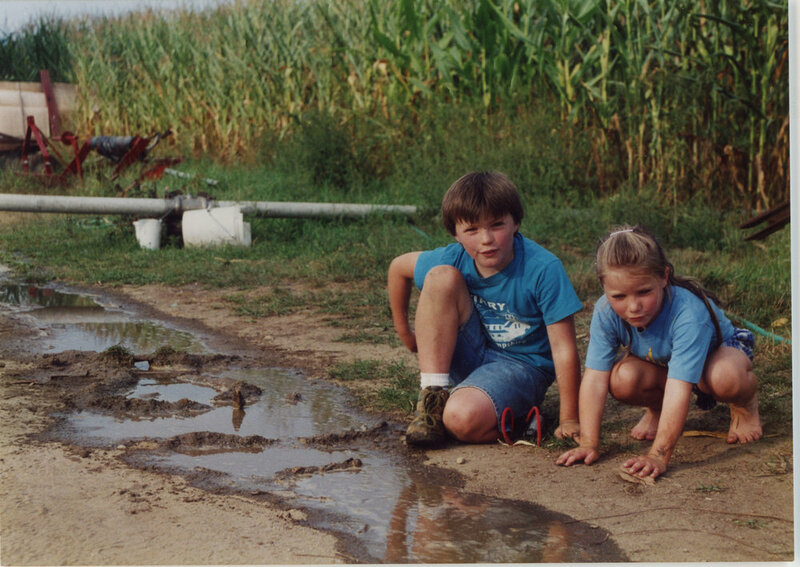 Once we were able to secure the property on Court Street, Green Wagon Farm began. We opened for our first season in 1994. 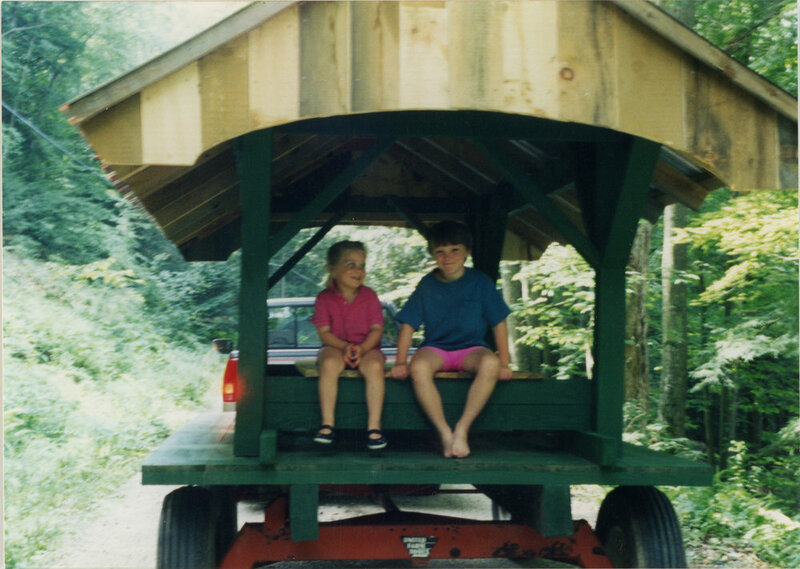 At the time the stand was plain and simple – a green covered wagon where we sold our produce. Thus, the name Green Wagon Farm. To this day the wagon is still part of the farm stand, in addition to several large tents, coolers, tables and more. Every year we grow a little more, but the quality and simplicity has stayed the same. The farmland is split into two different locations – Court Street in Keene as well as fields and greenhouses in Surry. During the Winter and early Spring, the majority of our time is spent in Surry tending to seedlings in our greenhouses. We start our first tomatoes the last week of January and continue seeding our other crops throughout the early Winter and Spring months. Having greenhouses allows us to have strong and healthy plants ready to go in ground by the time the soil thaws in May. In March and April we plant our first and second rounds of greenhouse tomatoes, which extends their season of availability by several months. Though our favorite time of year is when the stand is open, the time we spend in the greenhouses is incredibly nice. Working in the warm, sunny atmosphere of a greenhouse in the dead of winter is just the best. Since 2009 Green Wagon Farm has participated in the H2-A program – a visa program which allows for foreign workers to do seasonal agricultural work. Our H-2A crew members come from Jamaica. Every year they work and live here during the farm season. They are dedicated, hard working people and we feel incredibly lucky to have them on our team. This year (2018) will mark our 25th season of business. We love our work and will continue to farm for many years to come.